DESIGNER WEEKENDS: INDEPENDANCE DAY STAYCATION! When we think of the 4th of July, we think of long weekends spent grilling outdoors, enjoying leisurely evening picnics under fireworks displays, and digging our feet in the sand to perfect our summer tans. But with Independence Day falling in the middle of the week this year, and temperatures expected in the high 80’s, it can be hard to justify tackling the traffic that AAA predicts will be the worst of the year. We think perfect solution is a 4th of July staycation. Below are some of our favorite ideas for celebrating indoors. Grab a cocktail, tune the TV into the local fireworks, sit back and relax to the hum of your air conditioning. Plant your derriere in something festive with patriotic colored Saarinen Chairs and Table available at Hive Modern. 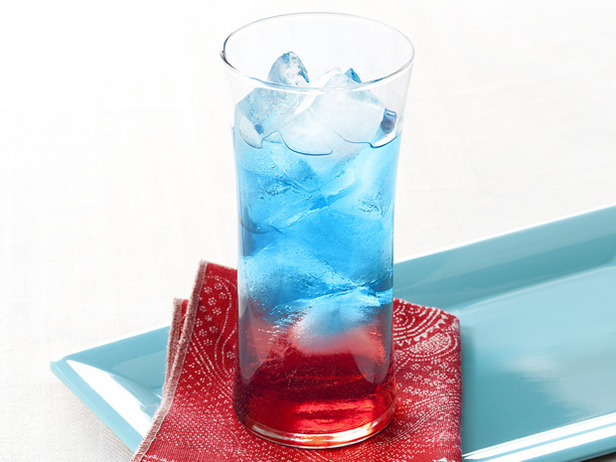 Cool down with a refreshing Fourth of July Cocktail created by Guy Fieri for Food Network Magazine. 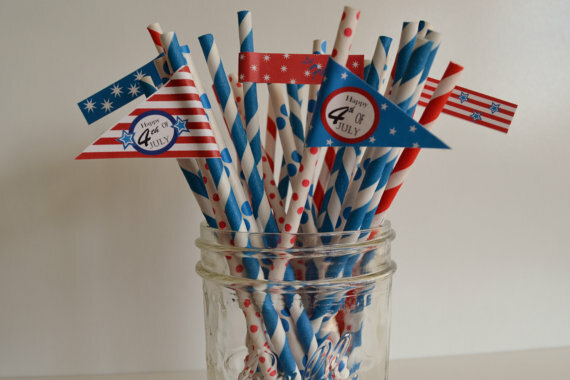 These festive straws from Pretty Sweet Stuff on Etsy make drinking anything more fun. Red, white, and blue serving trays from sarahhansenannapolis on Etsy are great all summer long. 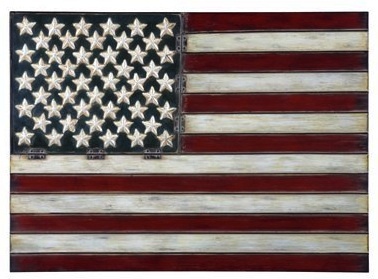 A piece of Americana for your walls with American Flag Metal Wall Art from Target. Sometimes the simplest designs say it all with nappy bowls from Fishs Eddy. 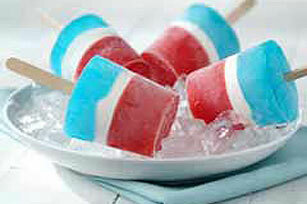 Stay cool with homemade rocket pops from Kraft Foods. Ask your friends to dress festive with Short Chino Pants fromUniqlo.